Scents and Fish Attractants for Bass Fishing. Do they work? I figured I’d open a can of worms here (no pun intended) and ask about whether you use scent or not. 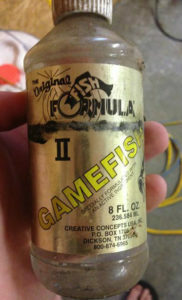 Way back, many, many years ago (late 1980s and very early 19900s) I used to use an attractant called Fish Formula on all of my soft plastics and jigs to give them more appeal to bass. Or at least that’s what I thought it did. The stuff was basically anise oil. It was a clear liquid in a squirt bottle. It smelled like black licorice. And it was messy to use. I used it for quite a while and really didn’t know if it made a difference or not. But at some point, for reasons I don’t really remember, I just stopped using it. I guess I just got tired of squirting this messy, oily stuff on my baits and then having to constantly wash my hands to get it off so it wouldn’t get on my gear and get everything all greasy and messy. But no matter what the reasons, I stopped using it. And I kept right on catching fish. I went without it, while my brother-in-law continued to use it. And I continued to catch just as many fish as he did, without having to deal with messy, oily goop on my baits and my hands. That was a very long time ago. I still don’t use scent. And I still catch a lot of fish without it. Do They Work or Not? My own personal opinion is that it doesn’t make much difference, if any at all. I know that there will be some who will argue with me on this point. And, yes, I know that there may be some merit to using a specific scent in very specific situations. 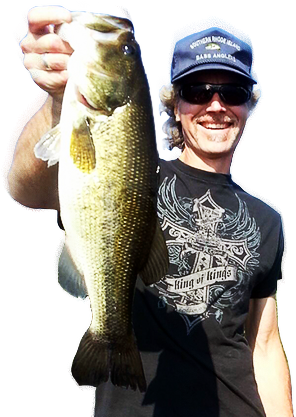 But, day in and day out, using a fish attractant makes little or no difference in how many fish you catch, especially with bass. Bass are sight and sound feeders, not scent feeders. They see things, they eat them. They hear (feel) things, they eat them. Bass do not track things down by following scent trail. Yes, they do have olfactory senses. But these are secondary, especially when compared to their eyes and their lateral line nerves. You see, fishing tackle companies make a ton of cash when they can convince us, avid bass anglers, that we “need” their product. And once they can convince a large percentage of us that they have a product we need, they cash in on it, big time. Not convinced? Take a look at all of the scents available to us these days. Not long after Fish Formula had become popular, a new arrival showed up on the market. 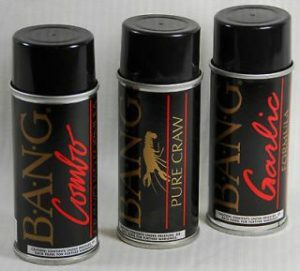 B.A.N.G (Bass Anglers New Gimmicks) hit the marketplace with a spray can attractant (the first of its kind). It was less messy and the packaging was much more attractive. Bingo! It took off like a rocket and is still available today, even though the original attractant, Fish Formula, has long since disappeared. And now we have more scent and attractant options than we can shake a proverbial stick at. Berkley hit the market with their own various versions of fish attractants. They offer Power Bait attractant, as well as Gulp. We also have Hot Sauce in a squirt bottle, very similar to the original Fish Formula. So, there are lots of options. In fact, there are enough options to confuse you in a hurry. Anyway, like I said, I personally don’t believe that scent makes a difference when looking at the big picture. Comment below and give me your thoughts! When I retrieved the line, there was a tiny little curl at the end of the line, indicating that it broke at the knot. I rarely have my line break, and when I do, it is almost always my own fault for forgetting to check the line after landing a fish, or maybe after getting caught on a rock or other underwater obstacle/cover. So I shrugged this off as carelessness on my part, tied on another spinnerbait and kept fishing. About 30 minutes into the tourney, I was throwing the spinnerbait and felt the line get heavy. I instinctively set the hook. The rod loaded up pretty good and then everything went slack. 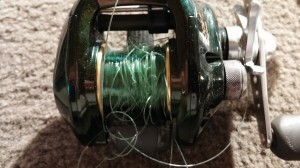 Another fish lost due to line breakage. I reeled in the line and, sure enough, broken at the knot again. What the heck?? So this past week I stripped that line off and spooled on fresh 17 lb. line. I was all set for another fishing outing! Or so I thought. 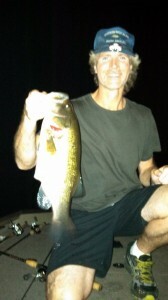 I caught several fish on a spinnerbait after dark, one of which broke off right at the boat as I was hosting it aboard. It was less than 2 lbs., so the line should never have broken that easily. Especially in light of the fact that I had just respooled with fresh line after breaking that other fish off last Friday night. So, I tied on another spinnerbait, but tried a different knot. Per the suggestion of Larry Nixon, I used the Trilene knot. It was pretty easy to tie. Just unfamiliar to me. I landed another fish without incident, but using a different knot didn’t sit right with me, for the sole reason that it wouldn’t help me figure out what was really going on. I’m a troubleshooter at heart, and i know that there are specific ways to go about tracking down a problem. Changing the knot wasn’t one of them… yet. So I bit that knot off and went back to the Improved Clinch Knot, then I went on to hook a few more fish, with no further breakoffs. Today I did my troubleshooting, on my back deck (of my house, not my boat!). Here’s what I found. First, I had a sneaky suspicion that the problem was really very simple; bad line. But I was also wondering if maybe I had gotten a bad batch of spinnerbait heads, maybe with some wire frames that had rough spots in them. So I grabbed several of the spinnerbaits that I have made and a length of line from the rod that has been breaking off. Keep in mind that I had just respooled this rod and reel two or three days ago and have not fished with it yet, until last night. I tied one end to a spinnerbait and wrapped the other end around my gloved hand and began to pull as hard as I could. At first I just gave short, hard pulls, to see if I could cause it to break that way. Nothing happened. It held fine. Next, I cut that section off and re-tied again. This time I wrapped the line around my gloved hand and just simply started pulling steadily, increasing the amount of pull. Sure enough, the line snapped. Not at the knot, but it snapped nonetheless. I did it again. Snapped again. Then once more, it snapped at the knot. I had no idea how much tension was really on the line when it broke, so I didn’t know if I was exceeding the lb. test (17 lbs.) of the line or not. 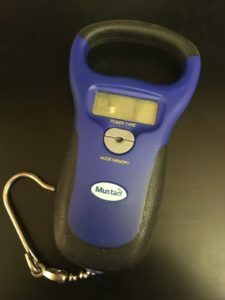 I went to the garage and grabbed my small digital fishing scale from my boat. Back out to the deck to run some more tests. This time I tied on the spinnerbait, wrapped the line around my gloved hand and hooked the spinnerbait to the scale. I started to pull. 8 lbs. 9 lbs. Snap! Again. Re-tied and hooked the spinnerbait to the scale. Pul, pull, pull… 12 lbs. Snap! Definitely (at least from what I could tell so far) bad line. Back out to the garage to grab a brand new spool of line from the cabinet where my line gets stored. Tie on the spinnerbait. Wrap it around my glove. Hook the spinnerbait to the scale. Pull. Pull. Pull. 12 lbs., 13 lbs. 14 lbs. 15 lbs. And that was all I could get with the angle I was pulling at. 15+ lbs of pull. The line held perfectly. Let me tell you that 15 lbs. of pull is a heck of a lot of tension! I never realized how much 17 lbs. of tension was until I used my scale to measure the lbs. of pull on the line. I know this isn’t terribly scientific, using a small digital scale, but it beats the heck out of not using anything at all and just guessing at it. It’s all part of troubleshooting, using the tools at your disposable to get some kind of measurable results. So, in the end, based on my tests, the line breakage I have been dealing with was due to bad line. Nothing more and nothing less. 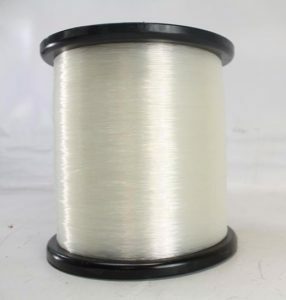 The spool of line that I was using had become old and weak. Plain and simple. And I also learned how much tension 17 lbs. of pull really is. A Lot! So you can bet that I will be going through my rods this week and replacing all of that old, tired out 17 lb. test line with fresh, new line. And the breakage problems will be a thing of the past once and for all. I love fishing in tournaments. The competition. There’s something about it that lights a fire inside of me. So let me tell you how I prepare for a fishing tournament. So you can imagine that when I have an upcoming fishing tournament, I do whatever I can to prepare for it, to make sure that when the day of competition comes, I’m as prepared as I possibly can be. But what does that involve? What steps do I take to prepare myself and my gear, to make sure that I can be focused and do my very best when I hit the water on tournament day? Well, let’s talk about that. First, before I ever hit the water for the tourney, or even to practice for it, I try to make sure everything is organized. This applies to my rods, reels, tackle items, and my boat itself. I keep my boat clean and organized, with no clutter and everything neatly in its place. Yes, I am a neat freak. But that helps me to stay in top of things and know where everything is so I can grab something in a split second when I need it. The last thing I want to be doing is hunting for something in my boat during a tournament, when every second counts. That’s the ultimate in frustration for me. All of this starts with keeping my boat clean. Yes, that even means no dirt on the carpet! Dirt on the carpet ends up on my gear and in my reels, and it also wears the carpet out prematurely. So, yes, I even rise the soles of my shoes off before getting into my boat. It helps to keep the boat clean, even when we launch from dirt parking lots. 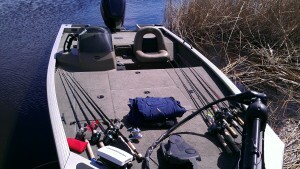 Next, my rods and reels have to be in order. I want to make sure that I have good line on them, especially for a tournament. And I want to make sure that my reels are well maintained. This means that I take them all in the house during the winter and do annual maintenance on them… all of them. Now that I know my rods, reels and line are in proper order, I go through my baits. 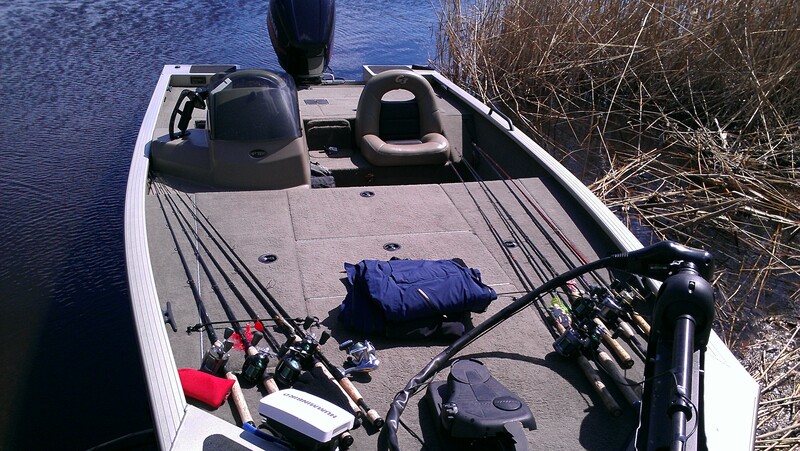 First, I check the soft plastics in my boat, to see what I might be running low on. I know which baits I throw most often, so I know that those are the ones that I am most likely to run out of the quickest. Well, I fished in my last club tournament of the 2014 season on September 27. It’s hard to believe the season is over already, but I have to say that this was one of the best tournament seasons I’ve had in a long time, maybe even best ever! I started the 2014 tournament schedule off by landing in a very disappointing next to last in our season opener. The worst part of that is the fact that the tourney was held on a lake that is one of my favorites and where I typically do very well. I basically just over-thought things and it showed in my small two-fish creel. By the time I figured out what was going on, there was only about an hour left in that tourney. During that last hour I did manage to catch two fish, including one about 4 lbs. My total weight that day was a dismal 5.87 lbs. The winner of that tourney had over 15 lbs. Ouch! So after tournament #1 I was sitting in 6th place with a 11 lb. deficit. I had my work cut out for me. But I like a challenge!! Tournament #2 rolled around and I didn’t have a chance to pre-fish, but it was held on a lake that I’ve fished probably 10 – 12 times during the past 20 years so I had a few ideas to try. My ideas didn’t pan out, but I was still able to piece together an on-the-fly game plan that landed me solidly in second place, just slightly behind the winning angler. And this was the beginning of my long climb out of the basement, with my eye on the top spot. On to tourney #3! 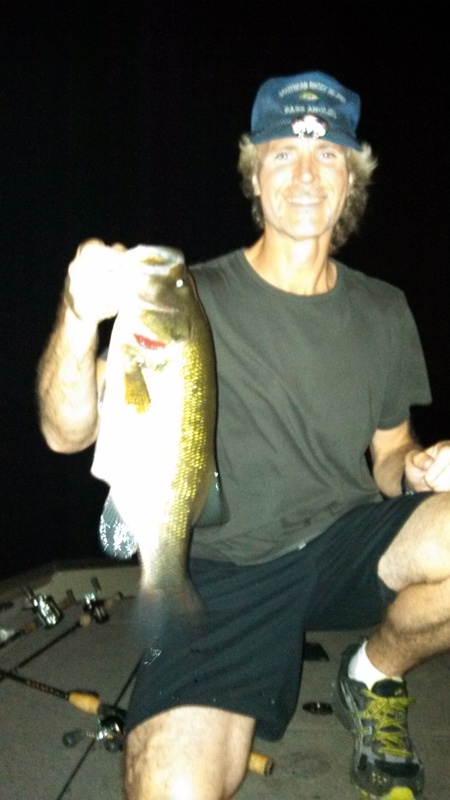 This one was held on a lake that I was somewhat familiar with, but hadn’t fished in quite a few years, so I knew I’d need to put in a little time learning it all over again if I was going to hope to finish at the top for the tourney. On the Sunday before the tournament, my wife and I hooked up the boat and headed to the lake. She had her book to read and I had homework to do. As a pro guide and tournament angler, I’ve spent some serious money over the years buying many different types and brands of fishing tackle, including soft plastic lures. It’s just part of finding what works best and then getting stocked up on those items. Fishing tackle can range from small wire snaps to rods, reels and a host of different kinds of lures. Even within the lure category there are dozens of different subcategories of baits to choose from for a varying myriad of conditions! Today I want to talk about just two of those subcategories; lure parts and soft plastic lures. Between these two subcategories I probably cover at least 50% of my lure needs in a given season. I fish a ton of soft plastics and I make my own spinnerbaits, jigs and buzzbaits. Do you want to know how to get corporate sponsors? Everyone would love to have sponsors. Seriously. Having a company give you free tackle and equipment is something that absolutely nobody would turn down, right? So if you’re interested in uncovering the secrets to making that happen, read on! Let’s start right from the beginning and clear up some very common myths and misconceptions. Far too many people truly understand what it means to be sponsored, especially when it comes to what’s required of the person being sponsored. 2013 was by far my best year yet working as a professional guide! My bookings increased and I got to spend time on the water with some truly enjoyable people. In addition to meeting new people and making some new friends, I also got to see more clients put big fish in the boat, due in part to my HumminBird fishfinders. We had many, many fish between 4 & 6 lbs. caught this year. Here are some highlights from some of those trips, in no particular order. The 2013 tournament season was a very good season for me, ending with claiming the Angler of The Year title for my bass fishing club, SRIBA (www.sriba.com). The season began on one of my very favorite early-spring lakes, Chapman Pond, with a bag of bass that weighed in at 16.12 lbs! Surprisingly enough, it wasn’t enough to win. In fact, it wasn’t even enough to take 2nd place! When everything was said and done, I landed in third place for the tourney. But I wasn’t complaining because it gave me a very solid start to the season, using that big weight as the launching pad for the rest of my tournament season.